Vancouver’s tech payroll has grown 27 percent in the last decade, fueled partly by flexible Canadian immigration policies. Though that’s drawn U.S. companies frustrated with U.S. limits, B.C. officials consider it a short-term advantage and hope to develop homegrown talent. VANCOUVER, B.C. — Comparisons between British Columbia’s largest city and Seattle tend to start with similarities. Proximity to picturesque mountains and bodies of water. The climate. A liberal-leaning electorate. But Vancouver’s high-tech sector owes much of its recent growth spurt to the biggest difference: the side of the international border it sits on. That gap grew even wider in the past 90 days with the inauguration of President Donald Trump, whose temporary travel ban and pledges to rewrite U.S. guest-worker programs have rattled the U.S. high-tech industry and sparked speculation that Canada may figure more prominently in the plans of tech companies and workers alike. Employment of highly skilled technology workers in B.C. has grown 27 percent in the last decade, fueled in part by software-engineering offices seeded by U.S. companies frustrated with the U.S. government’s limit on the number of visas available for highly skilled guest workers. 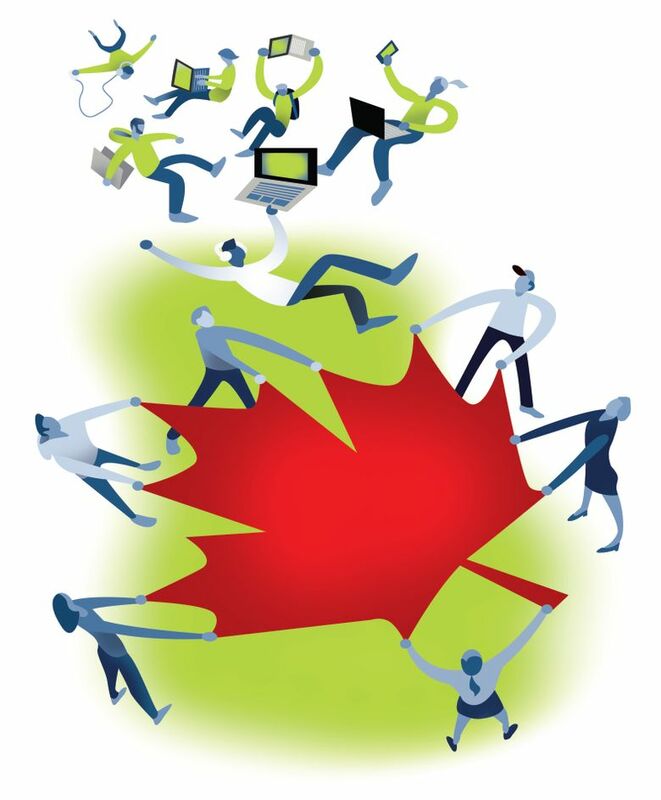 Canada’s guest-worker programs are more flexible. They lack a hard cap on new visas, and, for countries with visa-free travel arrangements with Canada, work permits can be obtained in less than an hour. There’s also a difference in costs. Applications for U.S. H-1B visas, the most common high-tech guest-worker permit, cost three times as much as their Canadian equivalent. And salaries for tech workers in Vancouver tend to be at least 10 percent lower than in the Seattle area, adding to the savings. The B.C. government has also tried to supplement those advantages with packages of corporate tax credits and other incentives to grow the industry. Microsoft was among the early companies trying to capitalize on those benefits, opening a development facility in 2007 in the Vancouver area that it billed as a home for workers unable to enter the U.S. because of immigration caps. The company moved downtown to an expanded office with space for 750 employees last year, aided by a pact that the province negotiated with the Canadian government that smooths entry for Microsoft’s chosen candidates from abroad. Other U.S. giants, including Amazon.com and Facebook, have established similar outposts, filling them in part with workers on temporary visas who collaborate remotely with teams working in the Seattle area or California. Many later transfer to jobs in the U.S.
About 33,400 people worked in software and computer-related occupations in the province in 2015, government data show, up 17 percent in five years. 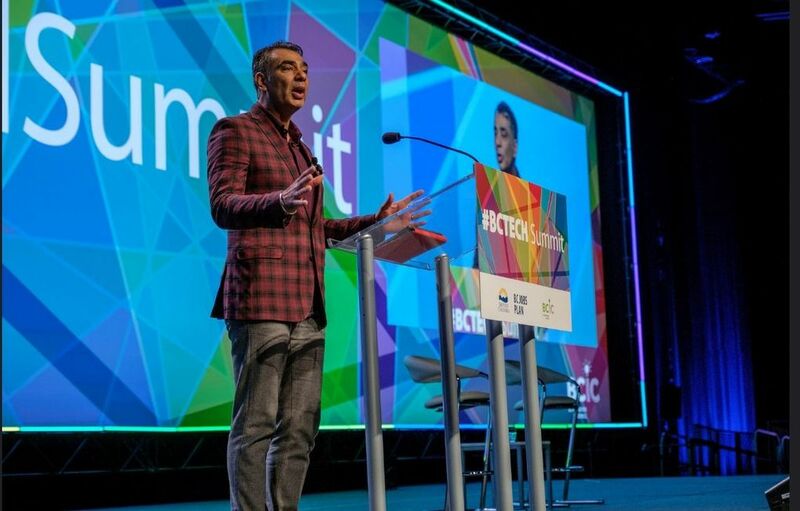 The challenge for Vancouver now is to translate that growth into a self-reinforcing trend that doesn’t depend on immigration way stations, executives and government officials attending the state-sponsored BCTech gathering here said last week. B.C.’s economy, historically focused on mining and forestry, has long stood in Washington state’s shadow when it comes to high-tech software work of the sort that employs tens of thousands at Amazon and Microsoft. Vancouverites interested in those types of careers usually had to go elsewhere. Matt Switzer, a Vancouver native, took that route, leaving home in the late 1990s to attend college in Ontario. After earning a computer-science degree, he stayed in the east, working for a Toronto business software builder, and later, in investment banking roles. What drew him back to his hometown was Hootsuite, the social-media management software company that had a few dozen employees when he joined in 2011. Today, it employs about 1,000. Roughly 600 of them work in Vancouver’s gentrifying Mount Pleasant neighborhood. They occupy three converted office buildings — one of them a former police station — filled with quirky Northwest-themed décor. “There are opportunities here that are big, and never really existed before,” Switzer, now the company’s senior vice president of business development, said in an interview. But Hootsuite, at the forefront of Vancouver software startups, is the exception. More often, B.C.’s homegrown tech firms are acquired, including recent deals by the likes of General Electric, PayPal and Intel. Or they do much of their growing elsewhere. Red-hot messaging startup Slack, founded by Vancouver-based Flickr founder Steward Butterfield, has its headquarters in San Francisco, along with offices in Europe and Asia. 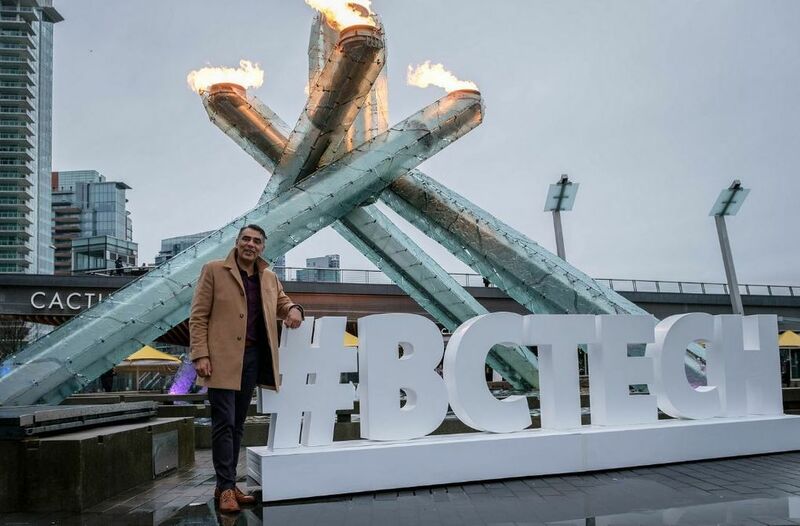 “We’ve run out of young people,” Amrik Virk, B.C.’s technology minister, said of the shortage of graduates of B.C. universities who have the type of skills needed to help those companies grow. Archiact, a Vancouver virtual-reality startup, is trying to hire from the province and abroad. The company takes in more than a dozen interns a year from local colleges, co-founder Derek Chen said, and encourages those who find success to apply for a full-time role. Archiact is also currently sponsoring seven employees from abroad for guest-worker permits. Virk, who immigrated to Canada from India with his family when he was 5, can readily quote the inscriptions on the Peace Arch monument at the U.S.-Canadian border along Interstate 5. It’s a crossing he’s familiar with. A brother lives in Seattle, and his nieces and nephews are American citizens. Personally, he hopes that the more restrictive immigration regime proposed by the Trump administration proves to be temporary. But in the meantime, his government is keen to capitalize on what he says is rising interest in B.C. on the part of foreign employers and students. At Archiact, has Chen seen a rise in job inquiries from foreign candidates in the last few months? He laughed as he answered “Yes,” suggesting the answer should be obvious.